The cast of the series is very diverse, which is good, but the storyline itself is only intermittently progressive. "We have gone to great lengths to represent a diverse cast with an intelligent, socially progressive storyline," Finn Jones declared following criticism of superhero saga "Iron Fist." The second season of the series, released by Netflix on Friday, proves him half right. The cast of the series is very diverse, but the storyline itself is only intermittently progressive. Casting people other than white guys is important, but “Iron Fist” proves that diversity doesn't inherently solve everything. Last season chronicled Danny's return to New York and the corporate maneuvering and backstabbing that resulted after he took his place on the board of Rand. 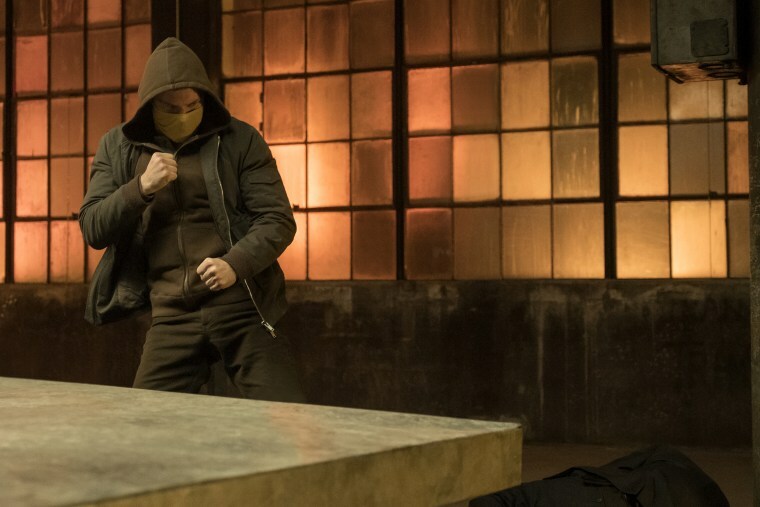 In the 10-episode second season, however, Danny has mostly abandoned his boardroom duties and is instead living in Chinatown with his Chinese-Japanese American girlfriend, martial arts expert Colleen Wing (Jessica Henwick). The first half of this newest season involves Colleen and Danny trying to break up a war between rival Chinese gangs, which means that most of the secondary characters are Chinese-American. Chinatown includes gangsters, nonprofits, homeless kids, salesmen and hardworking immigrants applying for citizenship. By having a range of Asian parts, the series avoids defining its characters by any one stereotype. As with "Black Panther" or "Crazy Rich Asians," the acknowledgement of a world that isn't mostly white is an anti-racist statement in itself. The best example of this is probably the friendship between Wing and African-American policewoman Misty Knight (Simone Missick). Two women of color don't get to have this buddy cop dynamic on television that often, and Henwick and Missick seem overjoyed to flirt and spar with each other, trading quips about favorite snacks while swaggering about town to rescue Danny, the purported hero. The scene where Missick casually knocks an assailant off a motorcycle with her prosthetic arm is one of the highlights of the series. It is surpassed only by Henwick's expression of shocked delight when she realizes that a trio of evil tattoo artists are, improbably, also trained martial arts experts — and that she gets to fight them. The show even uses the contrast between its diverse cast and its white protagonist to occasionally critique white privilege and white racism. The main antagonist of the series is Davos (Sacha Dhawan), a South Asian martial arts master who grew up with Danny in K'un-Lun. Whiny, rich, white Danny got to be the Iron Fist, and the charismatic, less fortunate Davos is understandably pissed. "You see Danny, you feel that you can just walk through this world as if it belongs to you," he declares. "You value nothing because your privilege has afforded you everything. You've never had a heritage of your own." Danny himself later acknowledges that there's something to this critique; he's got a hollowness in his soul that he tried to fill with someone else's golden treasure. But this is where the diverse casting, and the anti-racism, falters. Dhawan's presence, good looks and intensity are in striking contrast to Finn Jones, who has the charisma of a hipster dishmop. Danny is boring and irritating — but he is nevertheless the hero. White guy Danny is the real “Iron Fist; Davos, the person of color, wants to steal his title. “Iron Fist” season one was ultimately a tale of white appropriation. But season two somehow makes this narrative even worse by portraying the Asian man, Davos, as the usurper and appropriator, stealing power that belongs to the white man. The white superhero engages in some self critique, but still, he is still good and true and noble. The non-white pretender, in contrast, is a mentally ill murderer. Davos' critique of whiteness as privilege and unearned power is (supposedly) false. Instead, the show insists that Danny's power and privilege is righteous. Davos' effort to overturn the status quo is presented as evil. In this context, Danny's fight against the Chinese gangs also takes on queasy connotations. It's true that the diverse cast portrays a wide range of individual Asian people. But Chinatown as a whole in “Iron Fist” is a kind of Trumpian nightmare, in which the marginalized non-white population is defined by pervasive violence and crime. It’s up to the heroic white man to save the native population from this savagery. Colleen at one point even launches into a soliloquy about how no one is really trying to stop the gang war except Danny — not the cops, not the gangs, not the Chinese people, not even Colleen herself. Only the wealthy white guy really cares about the Chinese community — though his example can inspire others. Diverse casting is good because it creates possibilities for different kinds of storytelling and because it gives non-white actors opportunities often denied to them in the past. But diverse casting alone isn't enough if writers and directors fall back on tired stereotypes and plotlines. “Iron Fist” is dimly aware that Finn Jones is a tool, and at times attempts to criticize the wealth, whiteness and entitlement that Danny rather helplessly represents. This is especially the case in the series' genuinely surprising third act, where the show comes close to really changing its focus, and imagining a different hero. At the end of the day, the diverse cast is still mostly there to validate the white guy. But there's some hope that season three might be different.